We’ve been planning this trip for so long that it scarcely seems real that it’s almost here. And by so long, I mean…a little over 20 years. Even before we got married or traveled anywhere, we would go to a certain favorite Thai restaurant in Swampscott, look longingly at the photos of those famous floating markets on the wall, and imagine a time in our future when we could plan (and afford, let’s be honest) a trip half way around the world. Despite the fact that we have certainly traveled plenty in the years since, including to places as diverse as Istanbul, Morocco, and India, Thailand seemed to be so daunting. To be honest, I think we were (have been, and are still) a bit nervous about screwing it up. We are very aware, as we’ve been organizing our itinerary, assembling lists of things to see and places to eat (so very many places to eat! ), that all the planning in the world does not always prepare you for being on the ground. With every trip we learn more, and get better at dealing with the unexpected. 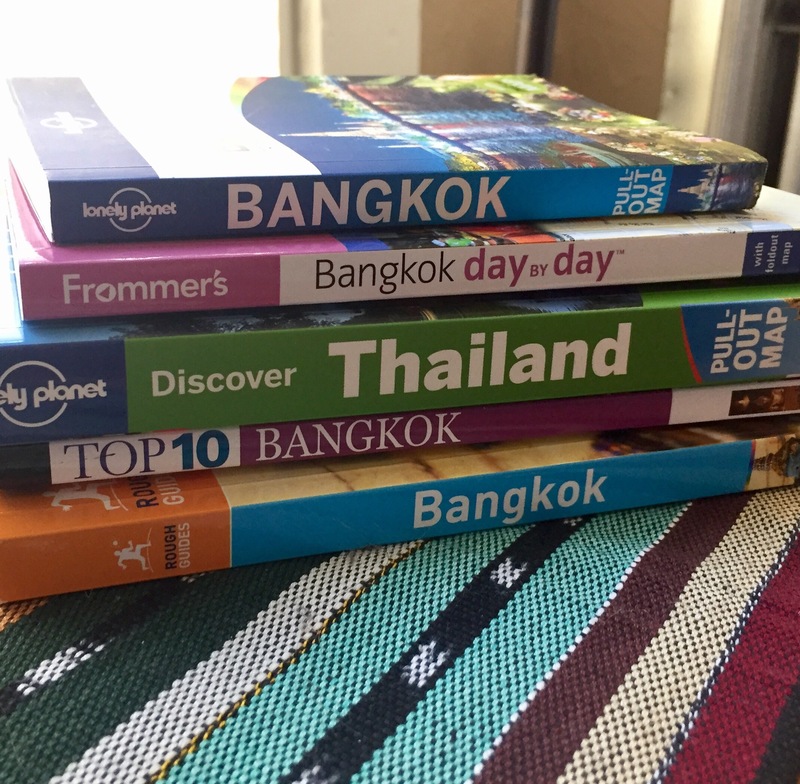 We have also learned to put a bit more structure around a destination like Thailand, because inevitably it takes longer to get places than you think, and frustrations like not being able to find a street name or confirm that you’re going in the right direction can and do happen. But also, on nearly every trip, we’ve also had delightful moments that happened because we got lost, or things didn’t quite go as we had planned, or we struck up a conversation with locals or other adventurous travelers. So while structure is good, we are trying to allow plenty of time for just exploring, and letting our feet (and stomachs) be our guide. Always, always plan for your first meal. Nothing gets a trip off to a disappointing start like a garfunkel. On the other hand, having a delicious dish that is typical of your destination (a croque monsieur in Paris; a plate of mantı in Istanbul; a bowl of goulash in Prague) will immediately make you feel like your holiday has begun. Know your limits. Depending on how far you’re traveling (time-zone wise), don’t commit yourself to doing too much the first day. While advice abounds online & elsewhere about how to deal with jet lag, and a lot of it involves staying up until the “normal” bedtime in your new destination, don’t discount the restorative properties of a short nap. Paper is your friend. Bring technology (phones are great for walking directions to a sight or restaurant), but plan ahead for when it fails you: have printed maps, lists, and addresses for the things you really will be disappointed if you can’t find or remember the name of. Always carry a notebook for when you strike up a conversation with someone who recommends a great place to eat, or wants to exchange emails. Pack less. Whatever you think you need, cut it by 1/3. Really. We’ve gotten better over the years, yet there are always at least four articles of clothing between the two of us that never, ever get worn. Whether it’s 5 days in Europe or three weeks in India, we each bring one large carryon backpack (this one), and a small personal item such as a day bag. Go with the flow. There will, inevitably, be something that goes wrong. That museum you traveled across the city to get to is closed when you arrive (even though you checked the times!). The restaurant that had great reviews turns out to be a dud. You realize the taxi driver doesn’t understand a word you’ve said and now you’re not where you wanted to go. Laugh it off, find a place for a cup of coffee or glass of wine, and look over your lists (you have those paper lists with you, right?) to plan your next steps. Or just sit with that glass of wine and people watch. In the next post, we’ll highlight some of the best travel resources we have found and used to plan this trip.